Position Description – The Food Services Coordinator is responsible for assisting in the efficient operation of the Immanuel Community Services Food Bank, organization of the Pantry, providing food for other ICS programs and picking-up donated food from area partners. 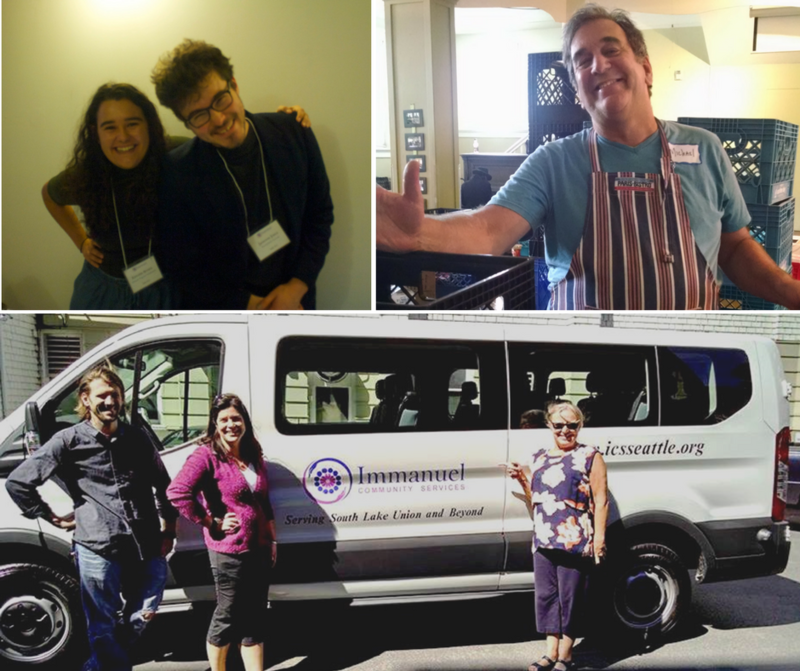 ABOUT IMMANUEL COMMUNITY SERVICES: Immanuel Community Services (ICS) strives to alleviate the effects of poverty, hunger, homelessness and addiction by providing community-based social services to those in need through four programs in the Cascade Neighborhood of South Lake Union in Seattle. Through our Hygiene Center, Food Bank, Recovery Program Shelter and Community Lunch, we strive to build relationships and be a place where people can become connected and involved. We work together, side-by-side, to maintain dignity, rekindle hope and create a community of belonging. Ensure that the Food Pantry and other ICS property are maintained according to public health standards in regards to Food Bank operations and ICS Food Service. Receive, sort and evaluate food and other donations. Store them in a safe, orderly, hygienic manner in the appropriate section of the Pantry (dry, cooled, frozen). This includes bagging food as needed and cleaning storage areas, walk-in cooler and freezer. Guarantee that all food receiving, storing and distribution are operated according to guidelines of partner agencies/organizations and donors. Pick-up or supervise the pickup of food items from various suppliers for distribution by ICS, using the ICS van or other approved transportation. Coordinate food distribution through regular Food Bank operations each week. Coordinate food distribution/deliver to partner neighborhood organizations. Coordinate food inventory and place food orders for food bank and meal programs. Recruit, train and supervise volunteers in their various functions in Food Bank operations. Work with Program Assistant to maintain accurate records including volunteer information, training records and hours. Maintain accurate records of van mileage and submit reports monthly to Executive Director. Ensure that van is available and in good working order: gas, regular maintenance, repair, etc. Ensure that van is kept clean and locked after use. Gather and submit all necessary data and receipts and work with Program Assistant to make sure all reports are prepared and submitted in a timely manner. This includes but is not limited to: Food Lifeline report, Northwest Harvest report, EFAP report, Bulk Meal, food distribution reports and other reports Executive Director may periodically require. Attend Seattle Food Committee, Meal Program Committee and other appropriate meetings as schedule allows. Maintain healthy and efficient relationships with staff, volunteers and community partners. Follow policies & procedures of Immanuel Community Services. Strong skills in space efficiency, organization, time management and cleanliness. Must be comfortable working with diverse populations, including homeless, low-income and diverse members of our community. Must demonstrate excellent interpersonal skills. Able to deescalate conflicts as needed. Enjoy working as a team but able to work independently. Must obtain a King County Food Handler’s permit within 30 days of employment. Ability to lift 50lbs repetitively. Bilingual (Ukranian/Russian and/or Spanish) a plus. Compensation: ICS will provide compensation of $15.00-$17.00 per hour. Hours: Part-time; 25 hrs/week. Additional hours may be required during special events. Health Care: ICS will provide an additional 15% benefit to be contributed to retirement or health plan of your choice.